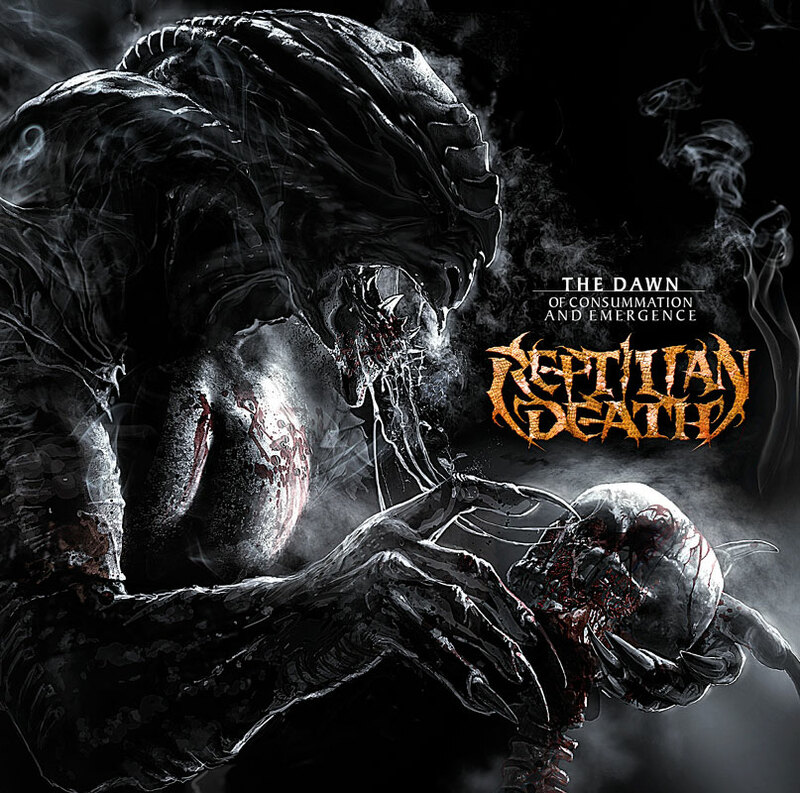 Reptilian Death, the death metal band from Mumbai, have released their new single ‘Emerge, Hatred, Emerge’, from their sophomore album, The Dawn of Consummation and Emergence, available for stream on Soundcloud. The album is due to release internationally on October 10 under Old School Metal Records, and is already available for digital download on Amazon, iTunes, Spotify, and other digital music retail stores. We spoke to Sahil ‘Demonstealer’ Makhija and he told us, “It is a track from our new album which comes out worldwide on the October 10 via Old School Metal Records. So, we thought we’d just release another track from the album online.” ‘Emerge, Hatred, Emerge’ is a deliciously tasty treat for the death metal junkie, cooked by the famous Demonstealer and members from Bhayanak Maut and Demonic Resurrection. The track features guttural vocals and bone-crunching blast beats and breakdowns. “At the moment, we are working on promoting the album itself,” said Sahil, “and of course we are going to be keen on booking shows for 2014 as well as anything that might come up in November and December, in India this year.” Due to certain issues, the band is not looking at touring for the new album until sometime in 2014. Since its conception in 2001, Reptilian Death has been causing a stir within the metal circuit. The band first released their debut EP 5 Easy Ways To Murder Someone in May 2001, gaining mass popularity with the five songs which had a light-hearted feel to them. The band has come a long way since then, and have also announced their debut international appearance at UK’s Hammfest 2014.